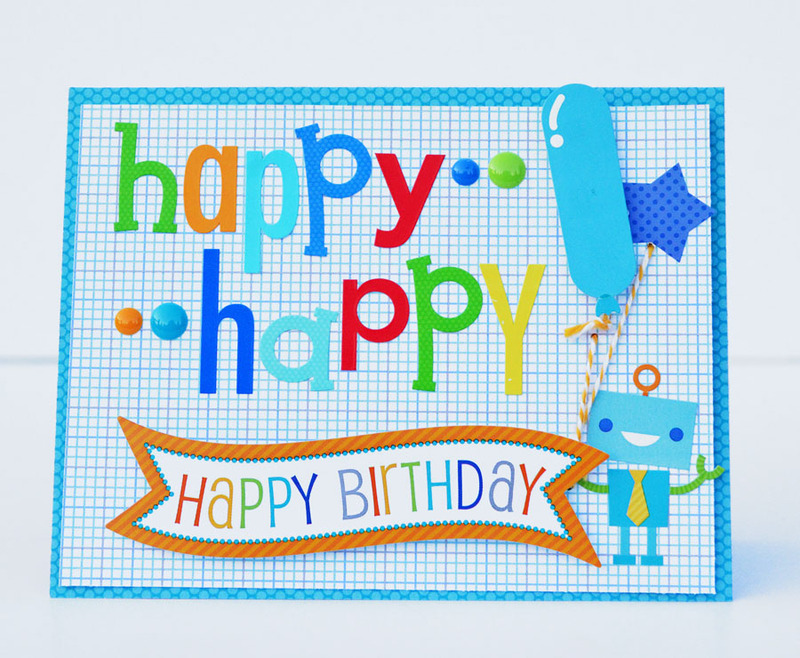 Hi Doodlebug fans! 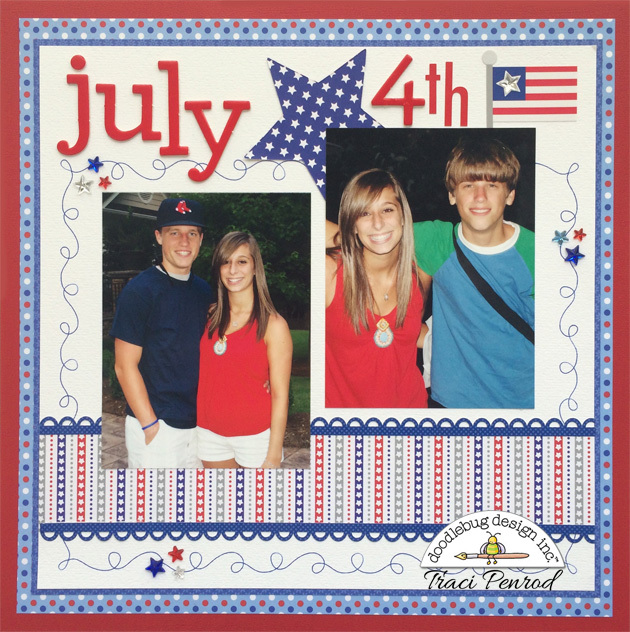 Traci here with a quick and easy 4th of July layout. 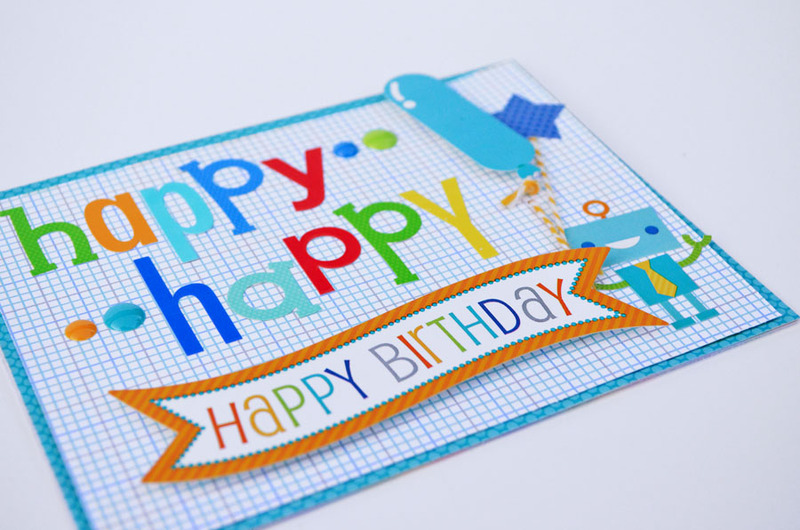 I have always loved the red, white, and blue color combination ... but when you pair those colors with all of Doodlebug's adorable patterns and embellishments it's even more fun! To claim your prize box, please email us at doodlebugdesign.blog@gmail.com with your shipping information by Friday, July 3rd. We'll get your box shipped out to you next week. Thanks!! 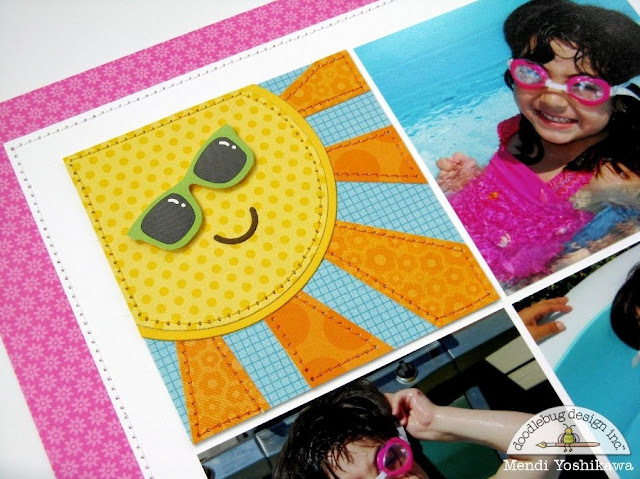 Now for Mendi's adorable Summer Fun Project!! Hello Doodlebugs! It's Mendi here today with a fun summer themed layout using more of Doodlebug's adorable Sunkissed collection. When creating this layout I chose a grid design, but I needed something to fill that last remaining square. 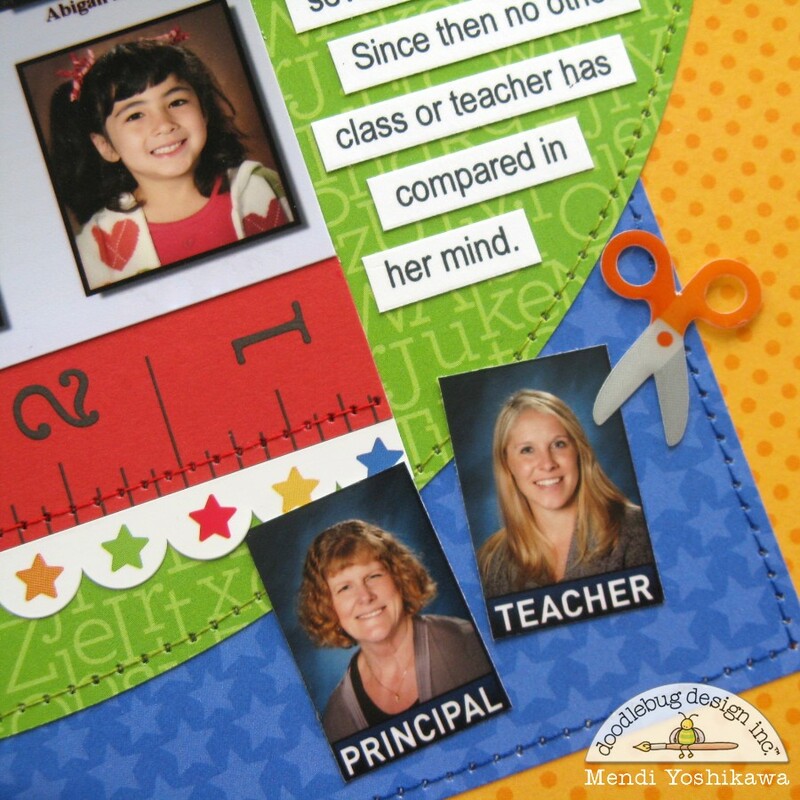 After considering using it for my title or a journaling block, I decided to create a handmade sunshine embellishment. I fashioned him from a circle die-cut, alternating strips of the two tangerine tone-on-tone prints from the collection and a pair sunglasses from the icon sticker sheet. I love how he rounds out my visual triangle and took on a little personality of his own. I thought these photos of my daughter wearing a darling popsicle tankini from several years ago were just so perfect for the images in this collection. The only problem was the pink in her swimsuit was clashing with the pinks in some of the papers. I was able to solve that by sticking mostly with tone-on-tone prints and pulling in the perfect bubblegum pink from the Petite Prints collection. To tie it in bubblegum color some more, I die-cut mini flowers from the same paper to layer over the printed flowers on the flip flop stickers and used a strip of the rainbow washi tape. 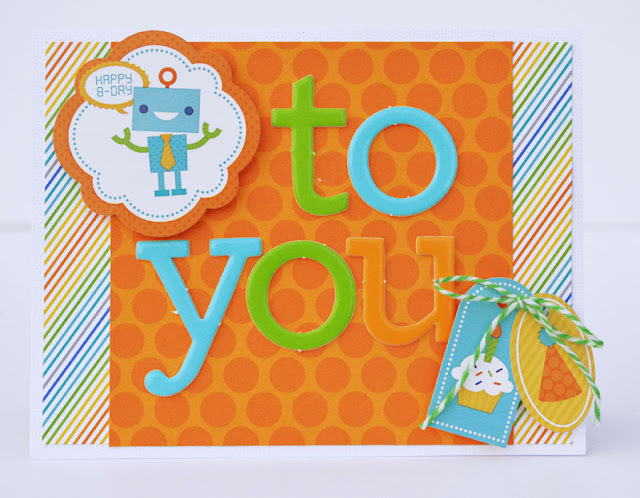 A love for the colours of the rainbow is almost a pre-requisite when designing for Doodlebug and having a rainbow song stuck in your head whilst you are crafting is a regular occurrence too. 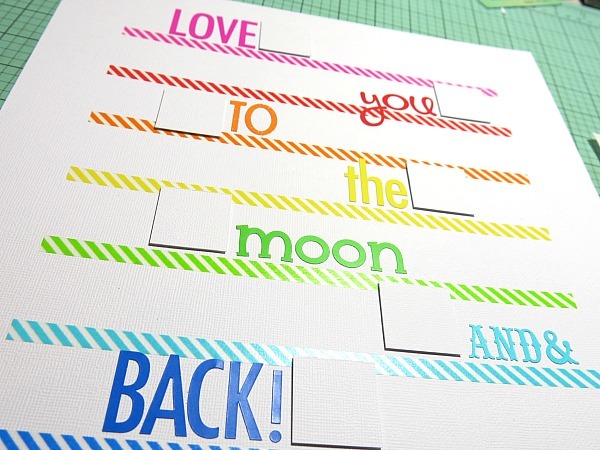 It's Melinda with you today and I'm sharing a colourful take on this week's challenge to use 'alphas in a creative way'. I've had this design roughly scribbled into my sketch pad for a very long time and finally I was able to put the plan into action. 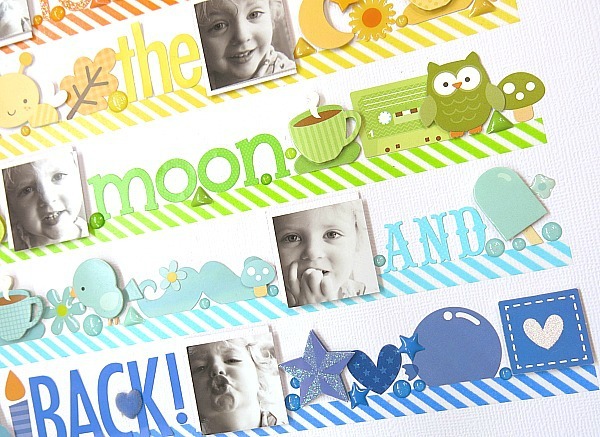 I just hadn't thought about what title I was going to use until I started looking through the embellishments and I came across the little yellow moon and everything fell into place. And lucky for me, I had exactly the right amount of rows to make it work! 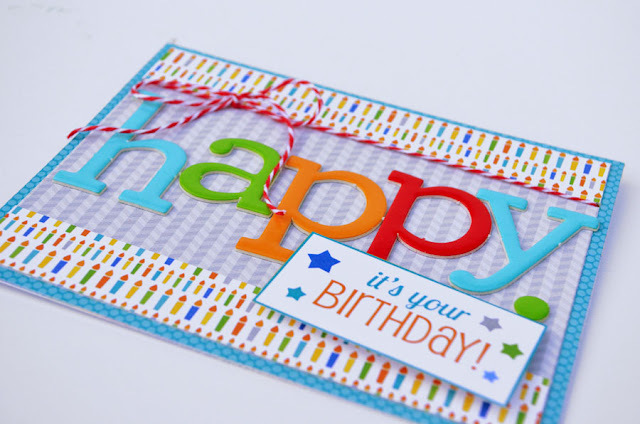 First step was to measure out even spaces for each row and then apply the washi tape across the cardstock and trim off an even amount on each side. 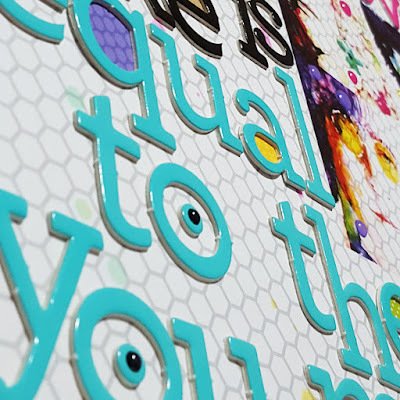 Next step was to work out a balanced position for the photos and positioning each word next to each pic. There was a bit of moving around before I was happy with the combination. One of the best ways to use your alpha stash is to choose different colours and designs for each word as it lessens the risk of running low on a particular letter before you finish your title... and how often has everyone run into that trap? Yes, I'm lifting my hand high! 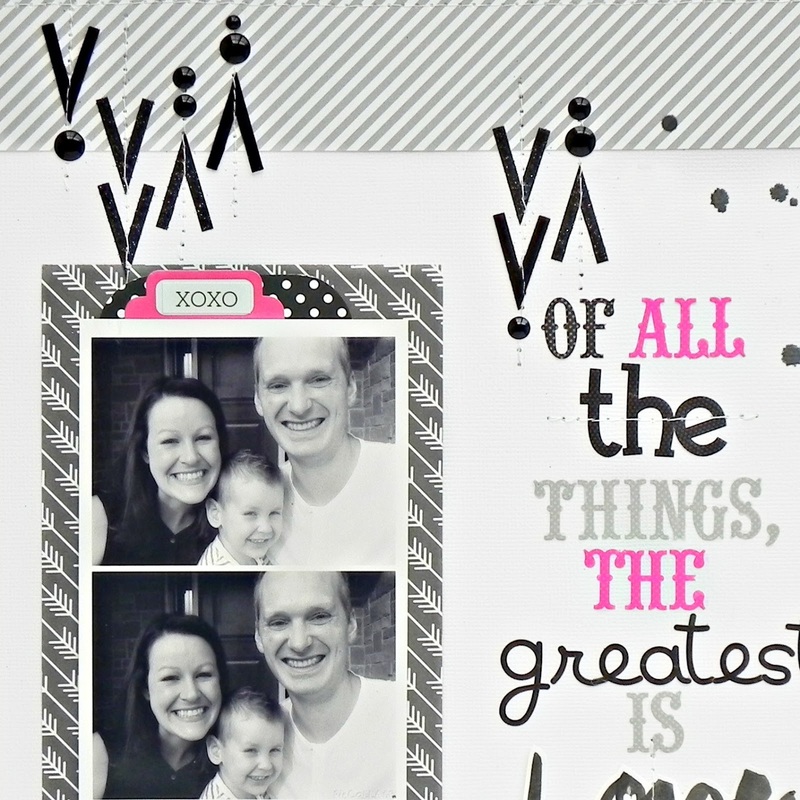 Then for the fun stuff... embellishing! I always position the largest pieces first and fill all the little gaps with the smallest bits and bobs. And believe me, my desk ends up in a huge mess but it's heaps of fun. Don't forget to visit yesterdays blog post to find out details on the alpha give-away... you don't want to miss this one! Thanks for stopping by and have a wonderful weekend. 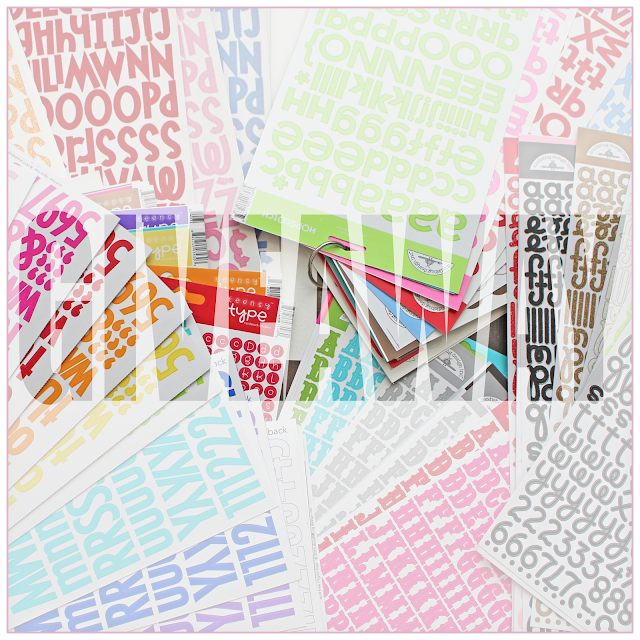 Alphabet Stickers to FOUR lucky winners. The more you enter the more chances you have to win!! You will have until Sunday, June 28th at 11:59pm MST to enter. We'll post the winner before or on Monday!! 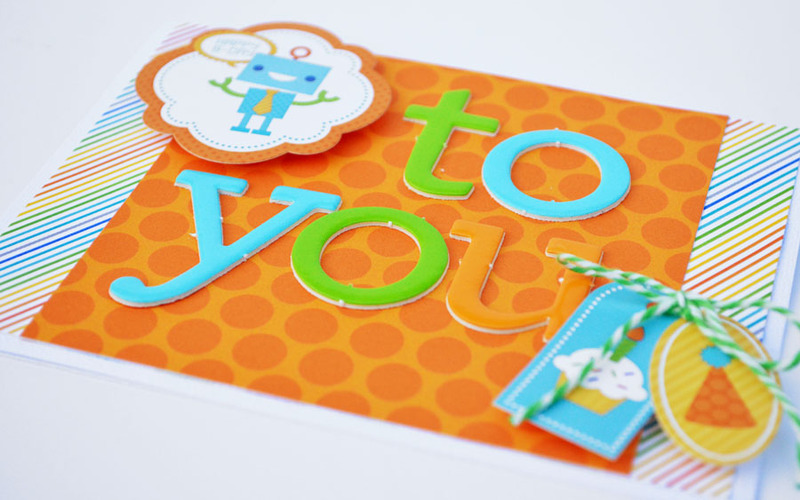 Hello Doodlebug Friends! 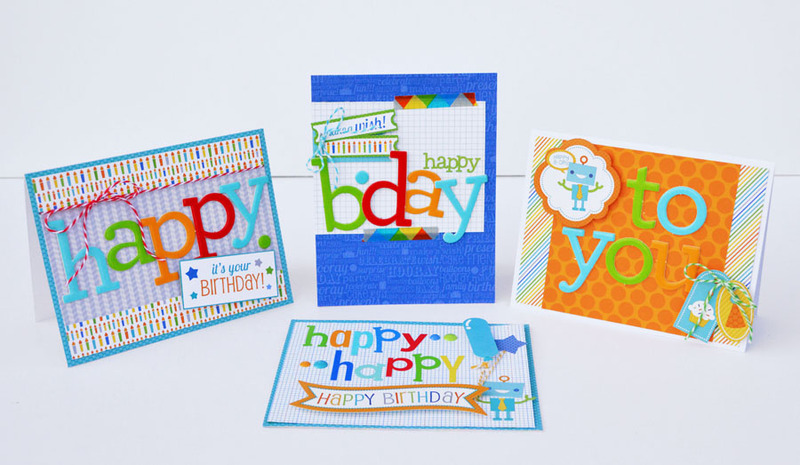 It's Wendy Sue here today, sharing a fun little card set using lots of rainbow mix & match letters! I really love love love (x infinity) the Chippers! 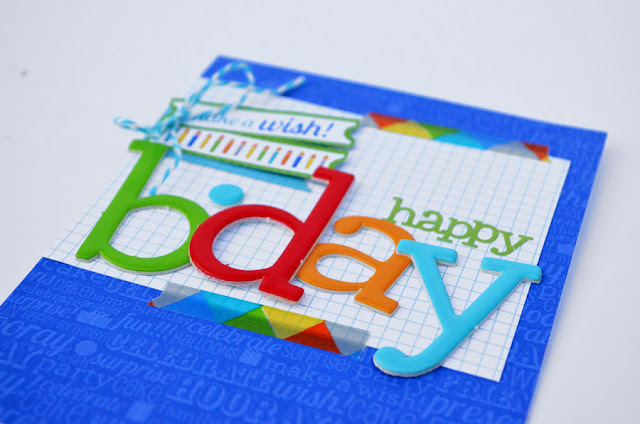 They are larger letters, so my first inclination is to use them on layouts...but I LOVE the big bold statement they make on cards! I created this set of birthday cards using various chipboard letters. 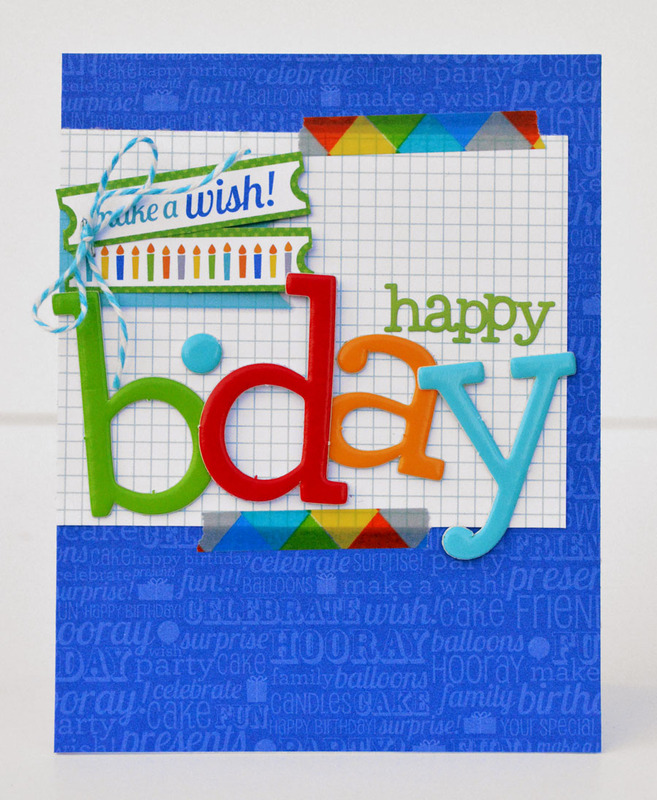 I used the "hip hip hooray" collection because I love the colors and designs for both boys and girls. Little colorful bits and pieces add to the unique design of each card, including sprinkles, doodle tape, and twine! 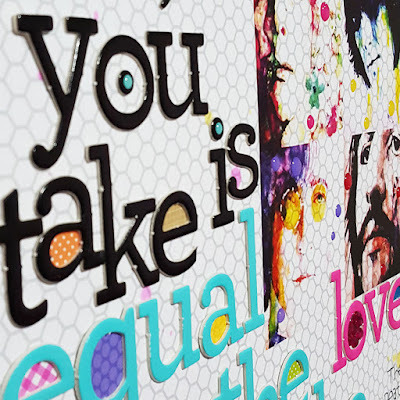 Of course, I added dimensional adhesive behind the stickers for a little bit of added dimension. 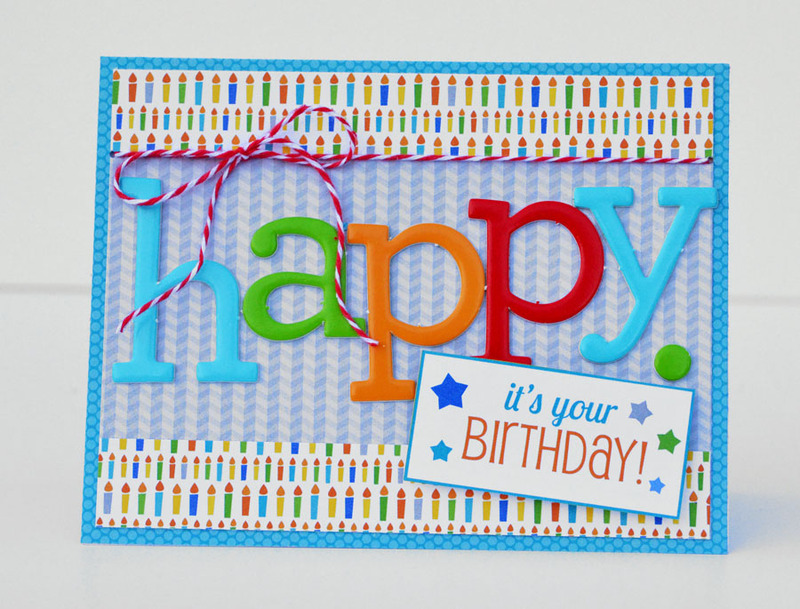 For this final card, I opted to use several different letter stickers from many different alphabet sticker shapes. I love the eclectic look of all the different styles. 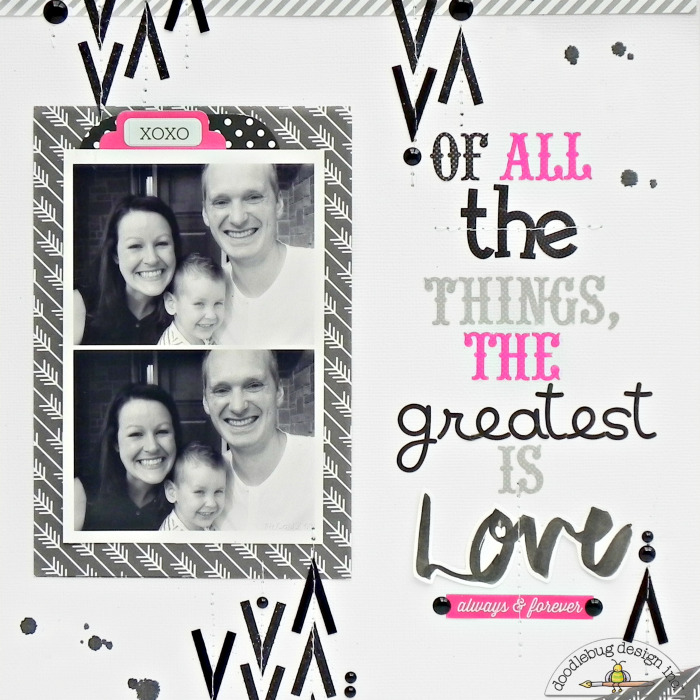 Yet there is still a cohesiveness because of the amazing doodlebug color pallet! Try mixing and matching colorful letters on your next set of cards! Hi everyone! It's Traci. I'm happy to be back on the blog to share my project for the Design Team's Alphabet Challenge. 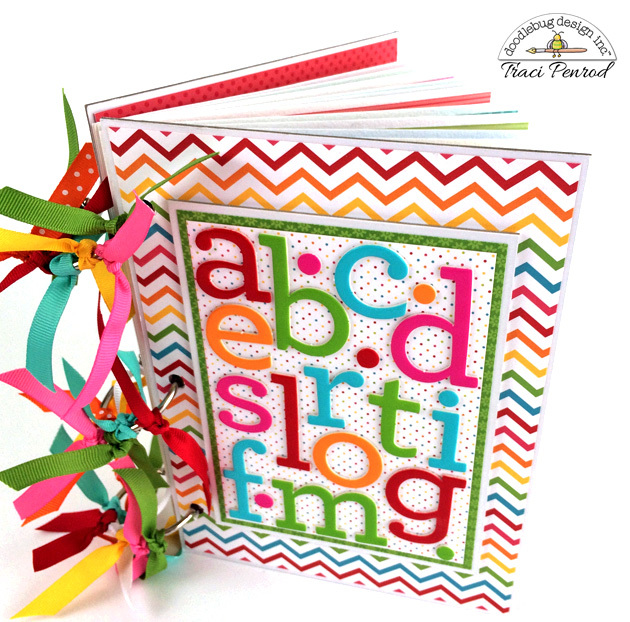 I created an ABC album with a combination of Chippers Alphabets and the new Skinny Cardstock stickers. 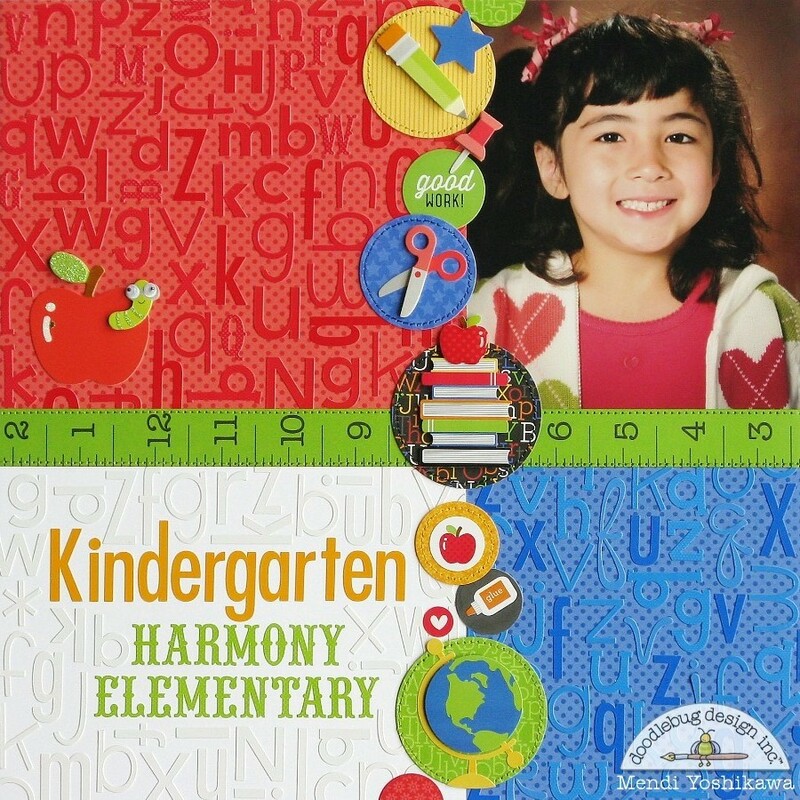 I didn't want a title on the cover, so I loaded it up with colorful chippers for a fun graphic look. Thanks for letting me share another mini album with you! 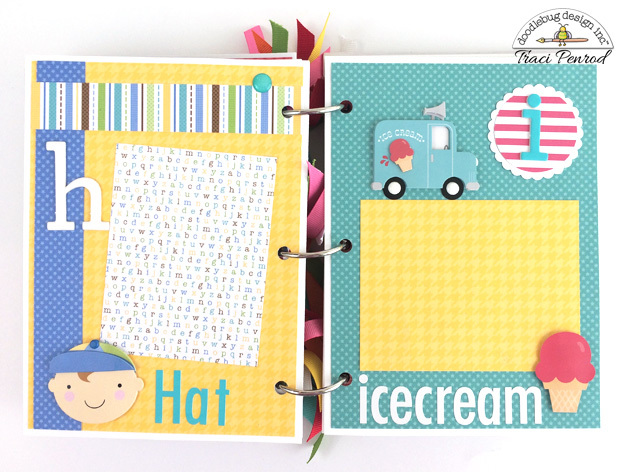 I'll have more of the pages for this album posted over on my blog at Artsy Albums today. Alphabets and typography make me think of school so I decided to try and make a bigger dent in my daughter's school album by pairing the letters with some of the other fun stickers and papers from Doodlebug's new Back To School collection. To start my page, I started by spelling out my title in the colored alphabet stickers on white cardstock and then working my way out, I added random white stickers in different fonts to fill in the leftover spaces and create the look of a custom embossed paper. While I didn't want to waste my stickers (because it does use up a lot) I made sure to have some of them bleed off the edge. 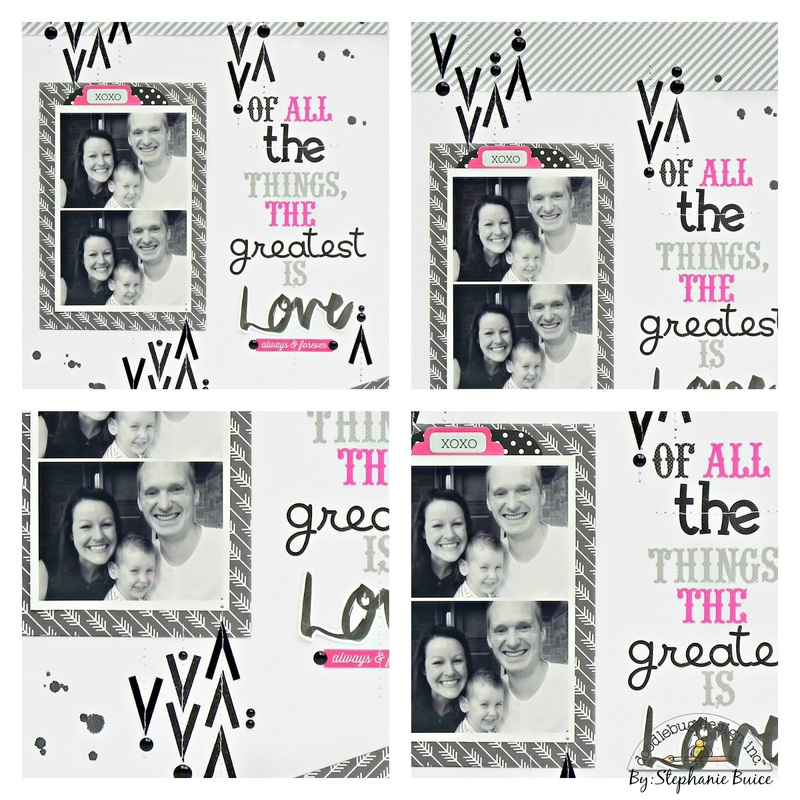 I was able to salvage the spots I cut off and use them to fill in other edges. And just how did I perfectly center my title? 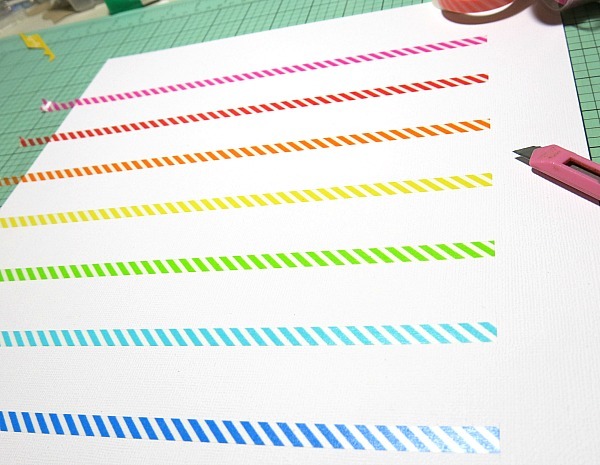 I used Melinda Spink's ingenious tip to place them on parchment paper to see how much space they would take up and then I lined them up with a ruler to make sure they were perfectly straight in the transfer. While I had my supplies out I created a second page to compliment the first one. 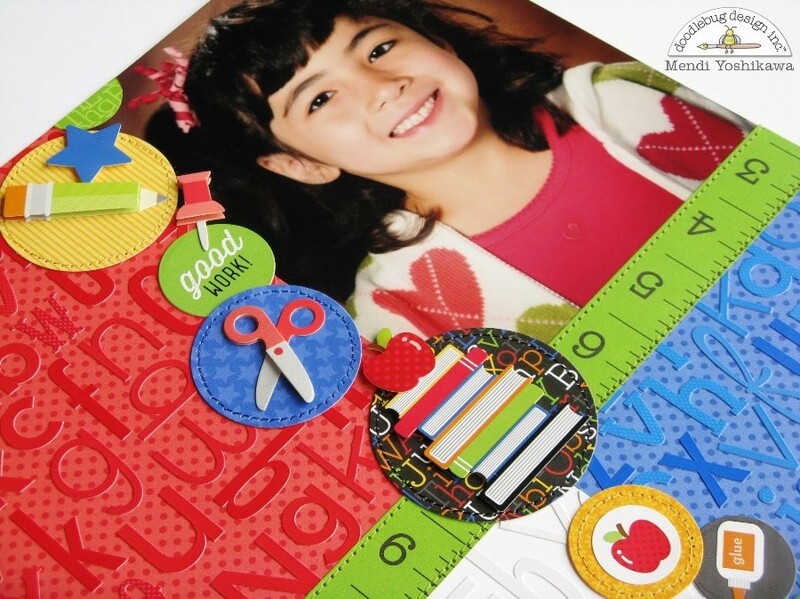 For this layout I chose to go more simple and to just mimic the colors and the ruler border on the other side. 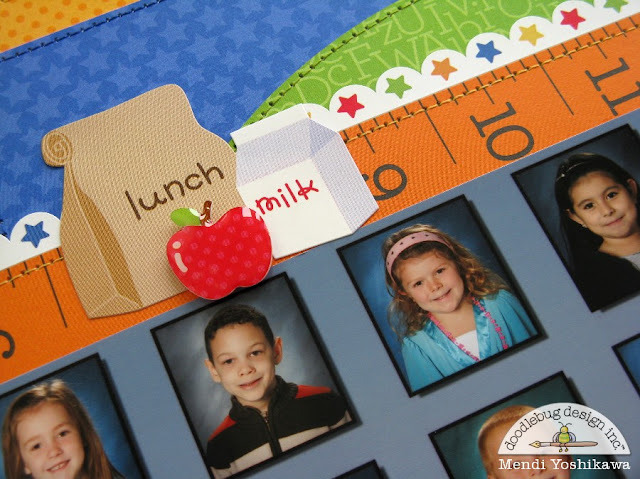 By adding some foam tape underneath my apple sprinkle shape I was able to add a little dimension and create a mini scene with the lunch and milk icon sticker. I find 8x10 class photos extremely hard to scrapbook and get creative with since they take up so much of the layout so I have given myself permission to cut them up and just make sure that all the details I trimmed off are covered in some other way on my page. 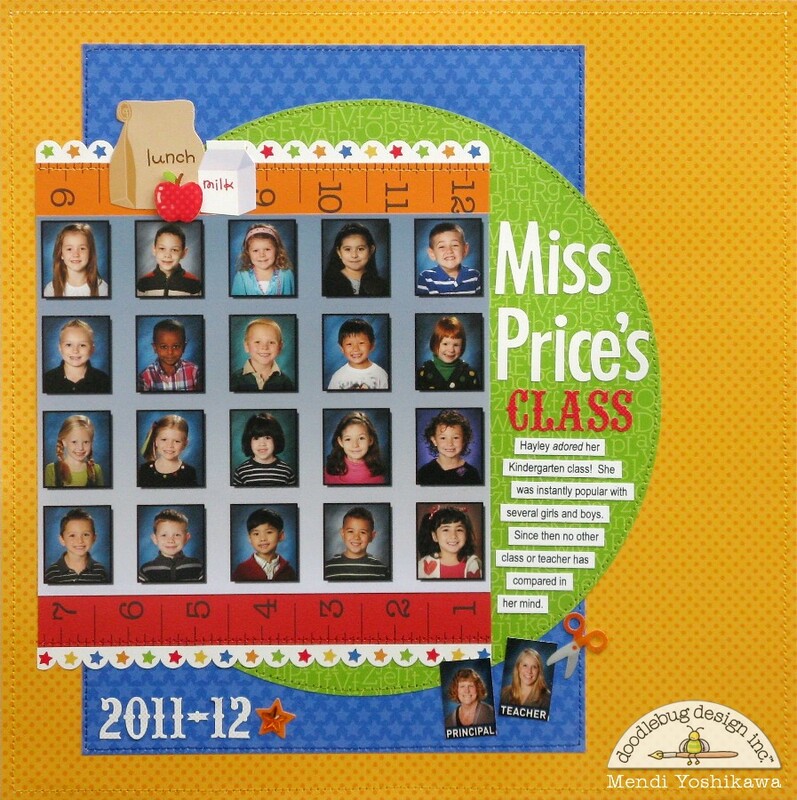 In this case there was a ton of extra space on my daughter's class photo with the name of the school and pictures of the teacher and principal. 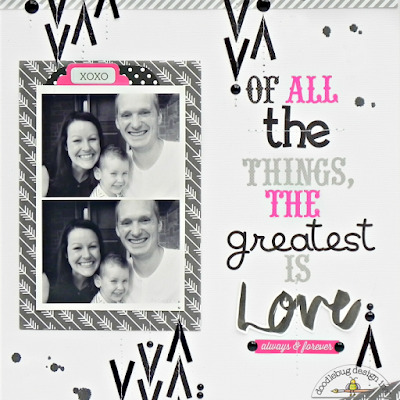 To make sure they were still included, I chose to simply cut them out and include them them as snapshots along the bottom. 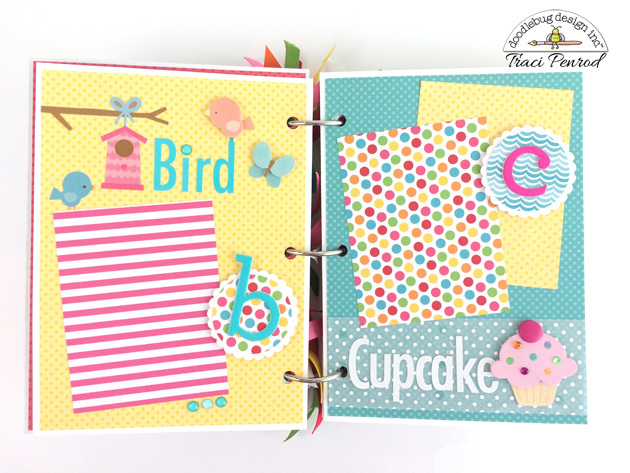 I hope I've inspired you to tackle those leftover sticker sheets full of extra Q's and Z's! 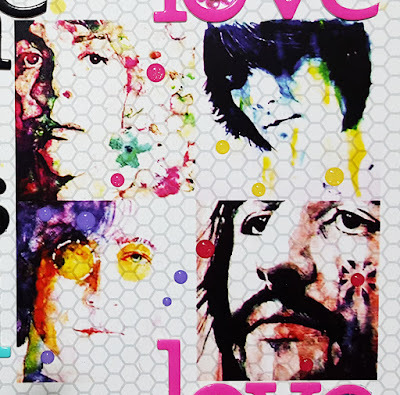 I've been a Beatles' fan since I can remember; in my local radio there are 2 Beatles' hours daily: the first one is form 8 to 9 am, and the second one is from 1 to 2 pm. Imagine that I have the possibility of listening to the Beatles many times during the week!!! I really love all the songs of the Liverpool's quartet, but obviously I have my favorites. 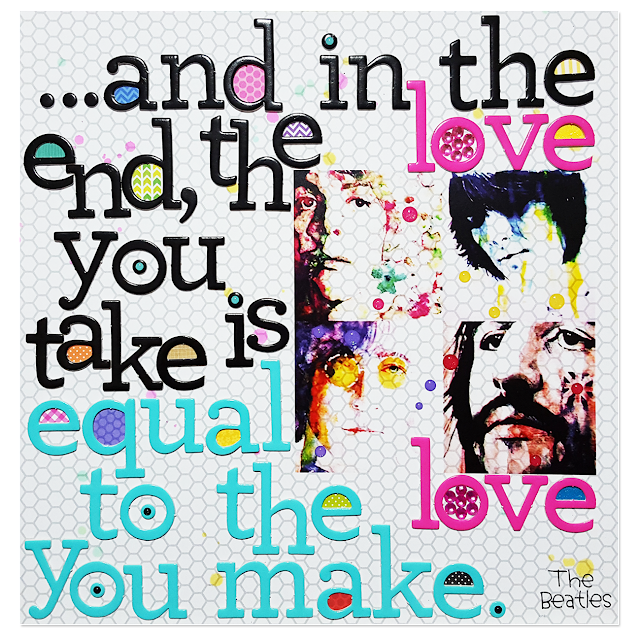 And "In the End" is one of those songs. I think it has one of the most powerful quotes I've ever heard: "And in the end the love you take is equal to the love you make" wooow, so true!! 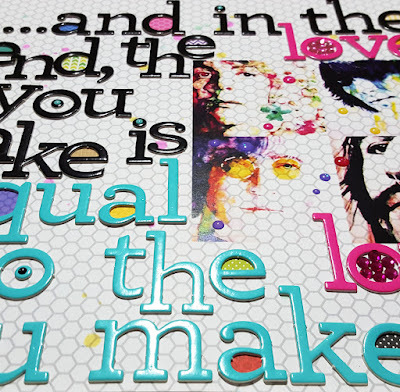 This part of the song inspired me to do my Alpha project.I found the picture of The Beatles in the net, love the colors on it!! The alphabets I used are Chippers! in Swimming pool and Beetle black! Hi everyone! 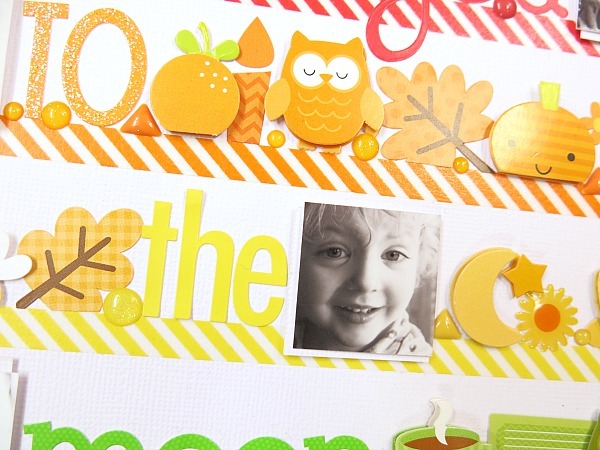 Stephanie here today to share my Alphabet challenge layout with you. Alphas are one of the most basic supplies yet there are so many options to choose from, especially here at Doodlebug. Have you seen the new Skinny font yet? It is my favorite! But for this layout I wanted to dig deep into my stash and find some of the ones that I haven't used in a while and show them some love. I also wanted to find a new way to use them instead of just in my title so I decided to try and make a pattern with them. I went through all of my sets and found all the V's and used them in an arrow type design. Since I wanted to keep my layout in the black and white range with a pop of pink I stuck to all black V letters. I added my design mostly at the top and bottom of my photos. 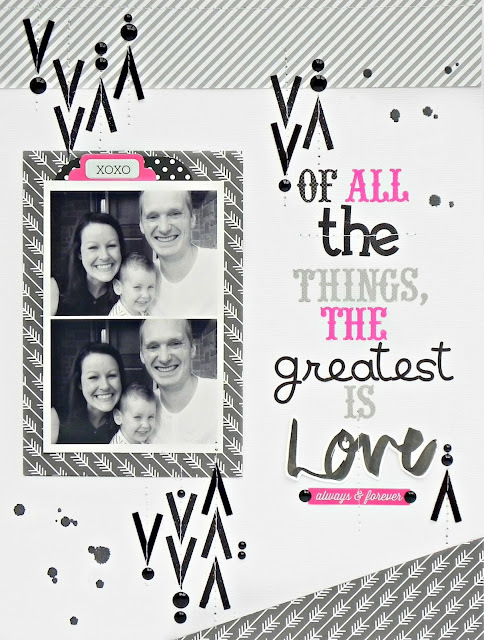 I used a few different fonts to make my title, "Of all the things, the greatest is Love." This layout of my sister and her little family is one of my favorites, they really are full of love. I finished my layout by adding in a few more of the V's at the top and bottom of the title and then sewed a straight line down each of them. This is a simple layout that any skill level could tackle, and if you're like me you have tons of unused alphas sheets hanging around. I hope you'll break them out and try coming up with different ways to use them. Piali here ...sharing a fun layout using various Doodlebug Alphas. 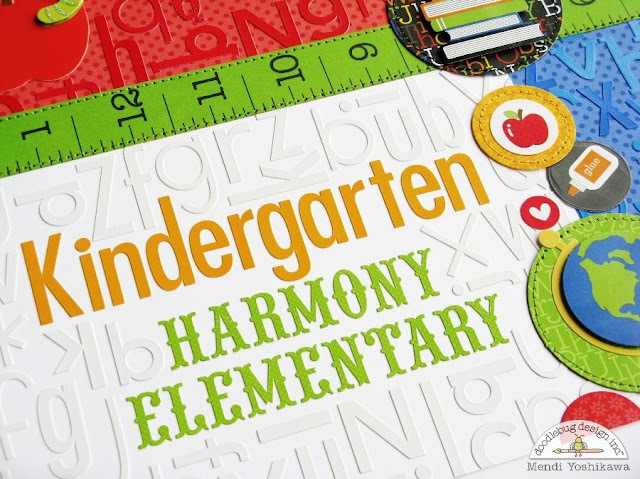 I love the great variety of Alphabet stickers Doodlebug makes, super adorable fonts, great sizes and a tons to mix and match!! 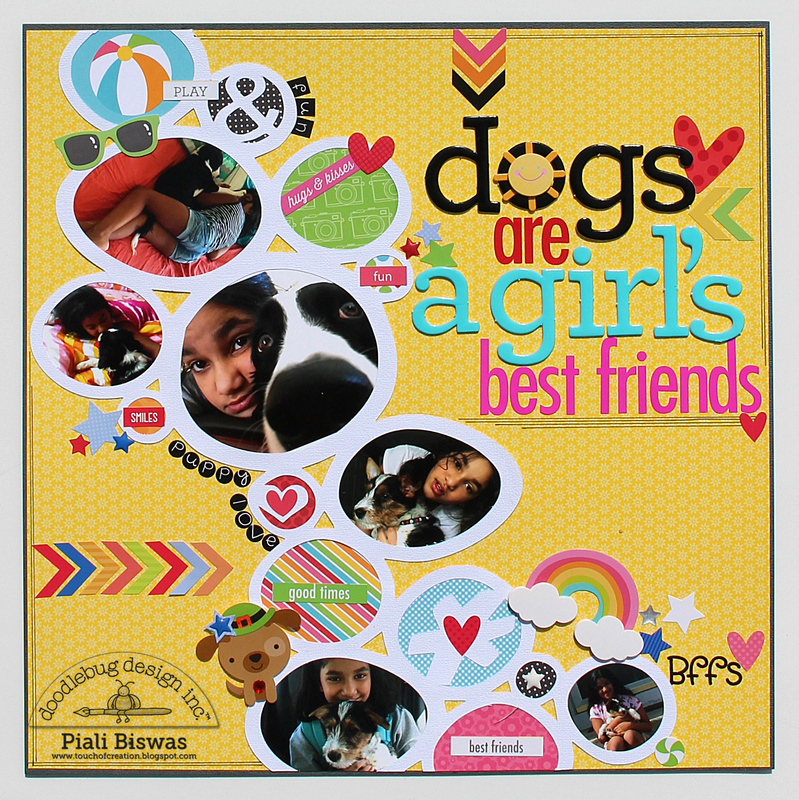 Here is a layout about my younger one and my puppies. She loves dogs!!! For this layout I used various paper collections, doodlepops, stickers and of course variety of Alphabet stickers. New skinny letters are my favorite, comes in yummy colors !! I also used phrase stickers from various collections. Did you spot the cute puppy sticker??? Its from Happy Go Lucky collection, I just added a rhinestones and some stars to it! !